This state­ment is being issued on the 31st of May 2018 and super­sedes all pre­vi­ous state­ments on the sub­ject. 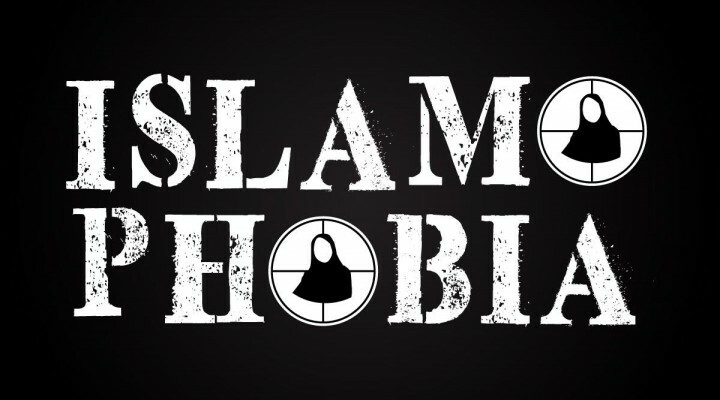 The bla­tant Islam­o­pho­bia dur­ing the 2016 Lon­don May­oral cam­paign was sim­i­lar­ly deeply dis­turb­ing and or com­mu­ni­ties are still reel­ing from it. We not­ed the words of Baroness Say­ee­da War­si with alarm about a ‘sim­mer­ing under­bel­ly of Islam­o­pho­bia’ with­in the Con­ser­v­a­tive Par­ty. It’s time for your par­ty to take con­crete steps in address­ing Islam­o­pho­bia and erad­i­cate these poi­so­nous ele­ments with­in the par­ty. British Mus­lims look for­ward to hear­ing from you. Send an email to Rt Hon. Bran­don Lewis MP sup­port­ing the call for an inde­pe­dent enquiry, he can be reached at chairman@conservatives.com. Please cc your email to Helen.Hill@parliament.uk and office@brandonlewis.co. I ful­ly sup­port the calls for the Con­ser­v­a­tive Par­ty to begin an inde­pen­dent enquiry into Islam­o­pho­bia. I look for­ward to hear­ing from you. Mus­lims are an impor­tant part of the British iden­ti­ty. Anti-Mus­lim dis­crim­i­na­tion under­mines soci­ety from with­in, and there is absolute­ly no place for it in this coun­try or in the Con­ser­v­a­tive Par­ty. Our Par­ty takes all alle­ga­tions of dis­crim­i­na­tion extreme­ly seri­ous­ly and has a clear and ful­ly trans­par­ent process to inves­ti­gate com­plaints made to it under the Party’s Code of Con­duct. Since becom­ing Chair­man I have been very clear that any­one who believes that they have suf­fered from dis­crim­i­na­tion or abuse, or who has wit­nessed such acts by some­one in the Par­ty, should come for­ward and lodge a for­mal com­plaint under the Code. I have ensured that there is a ded­i­cat­ed email address: complaints@conservatives.com and a direct tele­phone line: 0207 984 8050 where a mem­ber of the team will be able to help. When cas­es have been report­ed cen­tral­ly the Con­ser­v­a­tive Par­ty has con­sis­tent­ly act­ed deci­sive­ly, sus­pend­ing or expelling those involved and launch­ing an imme­di­ate inves­ti­ga­tion. In addi­tion, the swift action we take on not just anti-Mus­lim dis­crim­i­na­tion, but dis­crim­i­na­tion of any kind is tes­ta­ment to the seri­ous­ness with which we take such issues. I appre­ci­ate you tak­ing the time to write to me regard­ing this mat­ter. Amid fresh new rev­e­la­tions of Islam­o­pho­bia, the Con­ser­v­a­tive Par­ty is accused of turn­ing a blind eye on the issue as it ignores wide­spread calls for an inde­pen­dent inquiry. The Mus­lim Coun­cil of Britain has once again for­mal­ly writ­ten to the Con­ser­v­a­tive Par­ty demand­ing a wide-rang­ing inquiry into Islam­o­pho­bia in the Par­ty. Giv­en the lack of response or even acknowl­edge­ment of the first let­ter, sent almost a month ago, the Coun­cil sug­gests that the Con­ser­v­a­tives are turn­ing a blind eye to the mount­ing evi­dence and ignor­ing calls for an inde­pen­dent inquiry. The ini­tial let­ter out­lined a sig­nif­i­cant body of evi­dence demon­strat­ing “week­ly occur­rences of Islam­o­pho­bia” with­in the Par­ty, as well as appar­ent neg­li­gence of the Par­ty to act after the Lon­don May­oral cam­paign and the actions of Bob Black­man MP. In the inter­ven­ing peri­od, fresh new rev­e­la­tions include ongo­ing “week­ly occur­rences of Islam­o­pho­bia” from can­di­dates and rep­re­sen­ta­tives of the Con­ser­v­a­tive Par­ty; the dis­cov­ery of how vice-Chair Ben Bradley dis­missed Islam­o­pho­bia and appeared to have attempt­ed to cov­er this up; lived expe­ri­ences of Mus­lim mem­bers, can­di­dates and rep­re­sen­ta­tives; and evi­dence sug­gest­ing a senior gov­ern­ment min­is­ter had “extreme” views on Mus­lims. The let­ter cites sup­port for an inquiry from mosques, stu­dents, senior Mus­lim peers, Mus­lim organ­i­sa­tions, the Con­ser­v­a­tive Mus­lim Forum, Jew­ish groups, Con­ser­v­a­tive Home and edi­to­ri­als from The Times and The Observ­er. We agree with, and back calls by the Mus­lim Coun­cil of Britain (MCB) to under­take an inde­pen­dent enquiry into these alle­ga­tions. Boris John­son right­ly oppos­es the Dan­ish ban on the niqab but den­i­grates the minor­i­ty of women who choose to wear it. He described them as look­ing like “let­ter box­es” or “bank rob­bers” – in lan­guage that would not be used about oth­er faiths. His com­ments are par­tic­u­lar­ly regret­table in this cur­rent cli­mate, where Islam­o­pho­bia and anti-Mus­lim hatred is becom­ing wor­ry­ing­ly per­va­sive with dis­ap­point­ing­ly lit­tle action from this cur­rent gov­ern­ment. Mus­lim women bear the brunt of hate on the streets. Just this week, two peo­ple were jailed for tor­tur­ing a Mus­lim con­vert and a book­shop was attacked by Islam­o­phobes. Mr Johnson’s com­ments come at a time when he report­ed­ly met Don­ald Trump’s for­mer right-hand man Steve Ban­non. We need respon­si­bil­i­ty and action from our politi­cians, not pan­der­ing to the far-right. Mr Johnson’s com­ments also under­scores the Mus­lim Coun­cil of Britain’s call for an inquiry into Islam­o­pho­bia in the Con­ser­v­a­tive Par­ty. Such crass com­men­tary should have no place in our polit­i­cal dis­course.